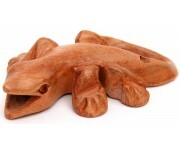 Check out these beautiful naturally colored hand carved and handmade wooden Gecko Noise Makers. 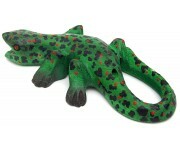 Known as Infraorder Gekkota in the science world, our larger Gecko Lizard is 6" long and makes a unique noise when you blow into its hole. 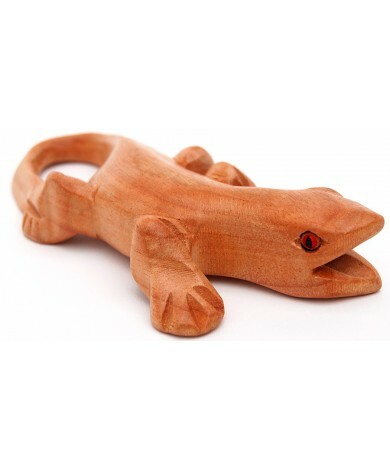 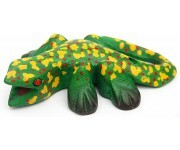 Our naturally colored and painted large Gecko is made in a Eco-Friendly Fair Trade work environment in Thailand, with no power tools ever used.